Do your kids like to BOOGIE? Do they like bubbles and fun? Do you like to get your kids out and active in a family-friendly environment? Then you want to be where KID BOOGIE DOWN is! Who is Kid Boogie Down, you ask? Let us Tell you all about them! "We love children. We love to party. We create fun memories through a love of music & dance." 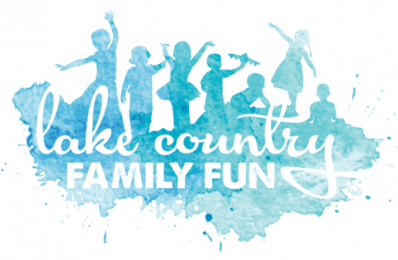 Kid Boogie Down is a full sensory family-friendly dance party experience. 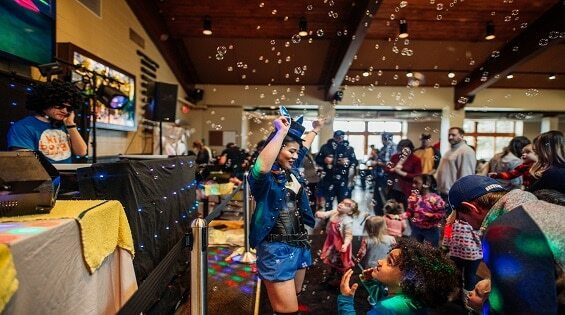 Primarily designed as an indoor dance party with lights, lasers, music videos and bubbles to combat winter blues, Kid Boogie Down is something enjoyable not just for kids, but for people of all ages. DJ lukewarm introduces young audiences to genres ranging from classic disco and funk to modern hits synced with matching music videos. Children of all ages can come ‘Boogie Down’ to the sounds of a live DJ with visuals, lights, lasers, bubbles, and more! Kid Boogie Down hosts multiple events throughout the year, mainly in the winter time. You can find out about these events on their event webpage here or their Facebook page here. Events generally cost $10 for kids and $5 for adults. Their last event of the season is on April 27th and you can find event details here. You can contact them about coming to your event. Their website contains information on that here. Kid Boogie Down is a fantastic and unique entertainment experience for any occasion – birthdays, bar & bat mitvahs, family gatherings, school events, festivals, and special occasions. More than just music/lights/bubbles you can request add-ons such as henna artist, temporary tattoos, face painter,magician, bounce house rentals and more. Delafield Brewhaus Banquet Hall. Kid Boogie Down will be present with their bubble light disco dj party! We can’t wait to welcome them to Lake County! Plus they will be providing temporary tattoos as well! Tickets are only $10 per family. Buy tickets here. You can keep in touch with Kid Boogie down in several ways. Like all businesses, they LOVE followers on their social accounts. You can follow them on Facebook and Instagram. You can also stay in the loop by subscribing to their awesome newsletter. You can email them as well at kidboogiedown (at) gmail (dot) com or shoot them a message here. « Weekend Guide, March 29-31	» Southeastern Wisconsin Birthday Party Guide!